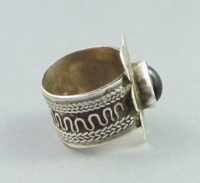 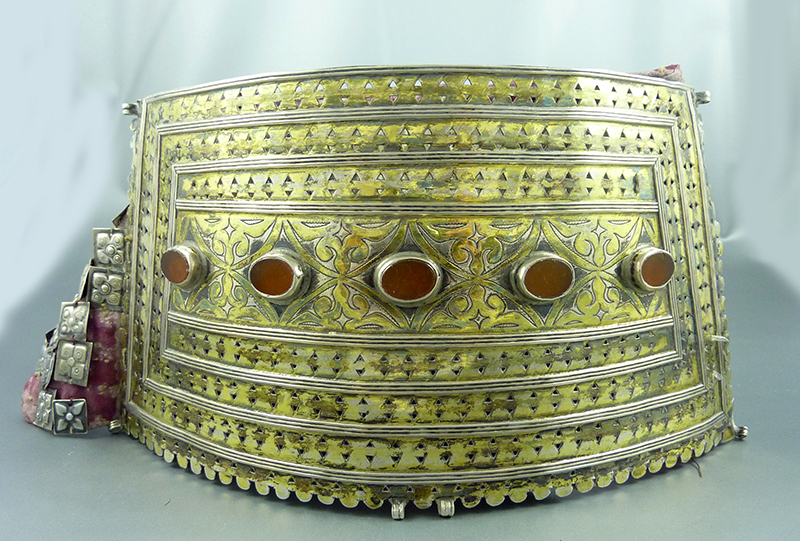 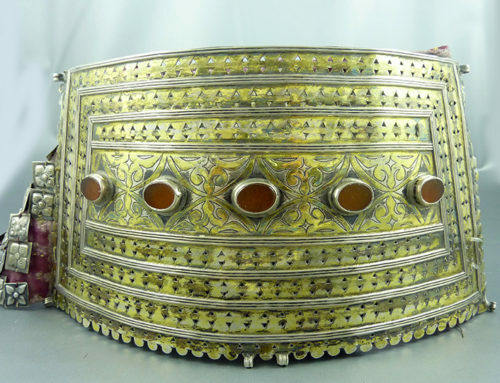 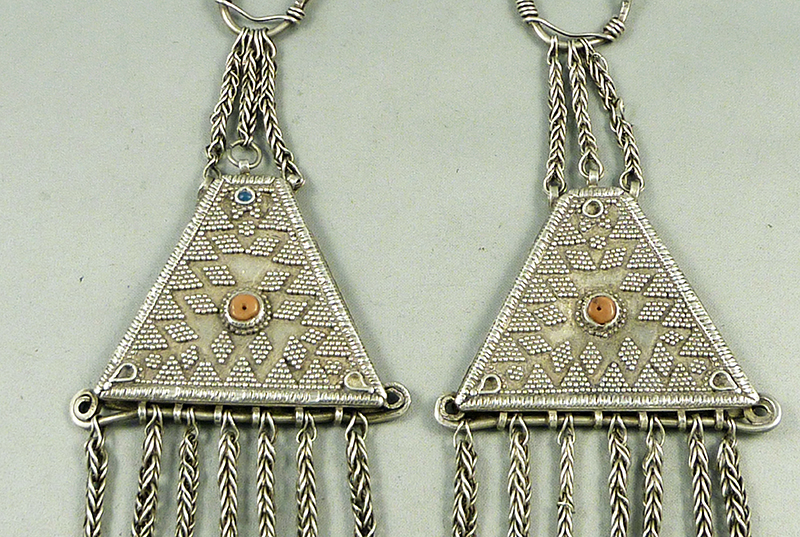 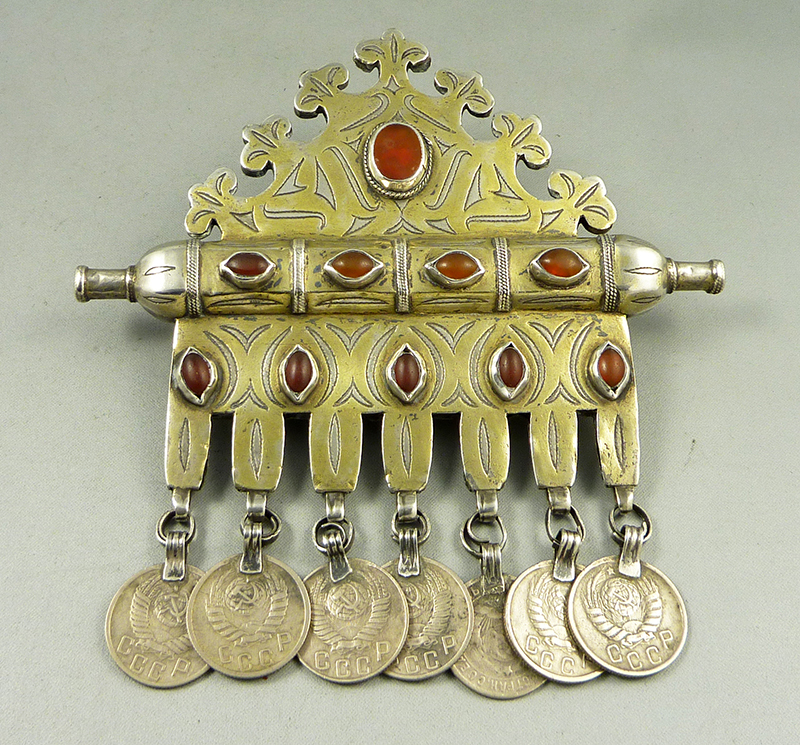 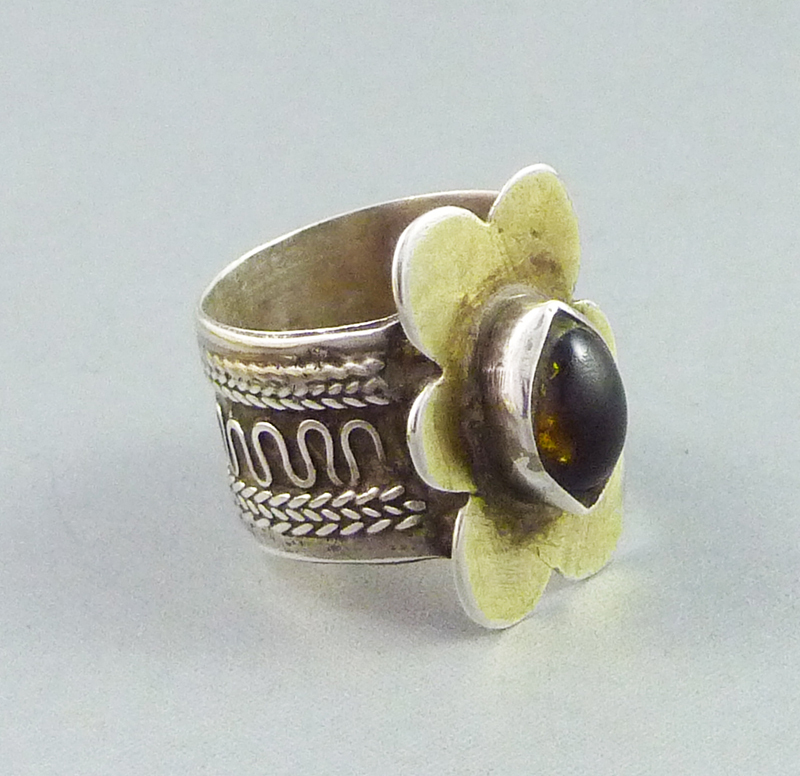 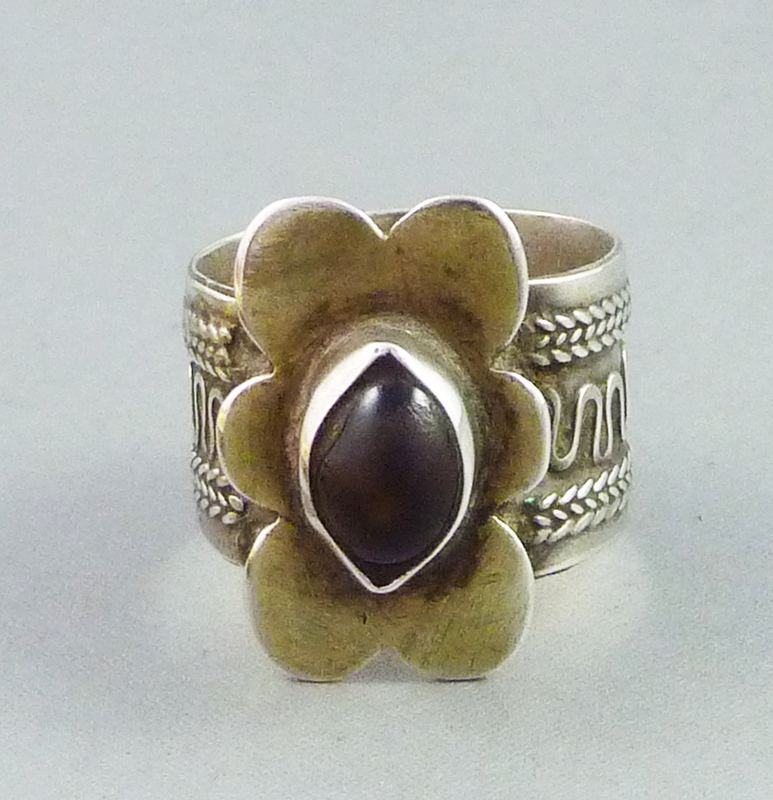 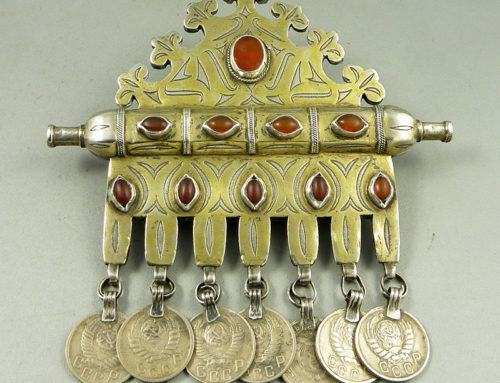 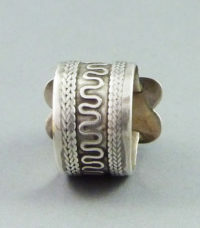 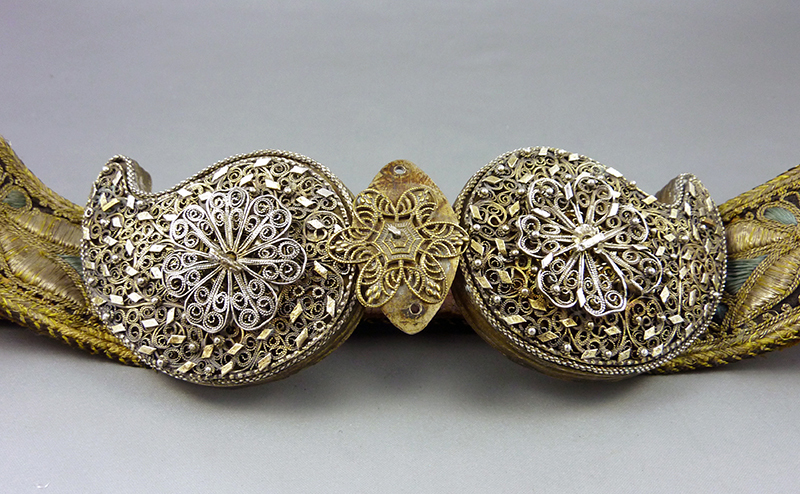 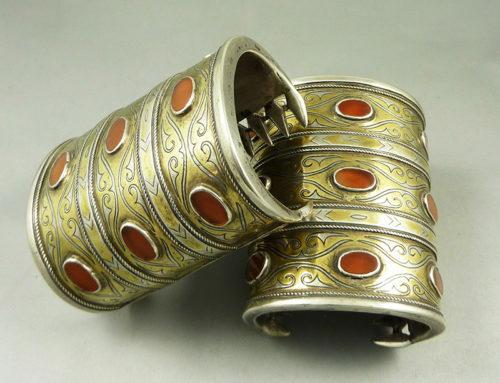 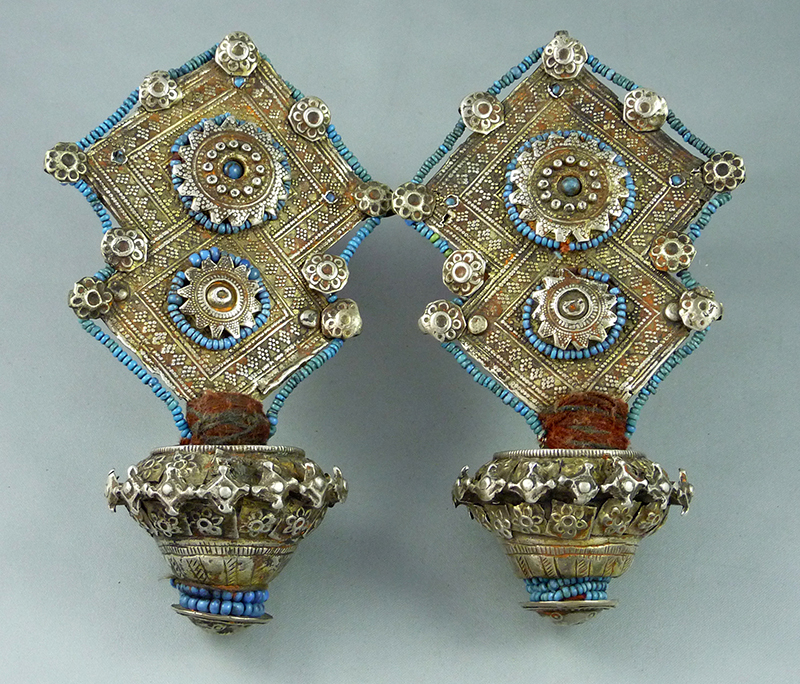 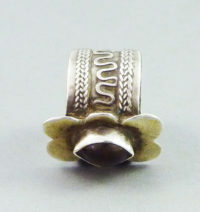 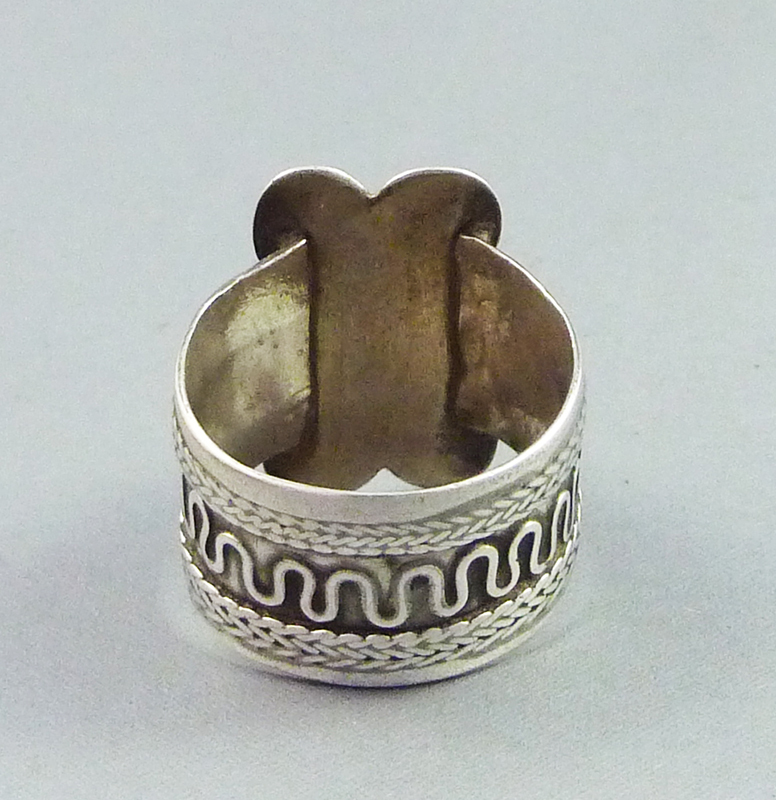 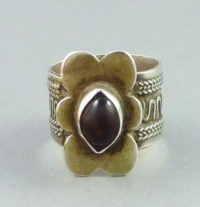 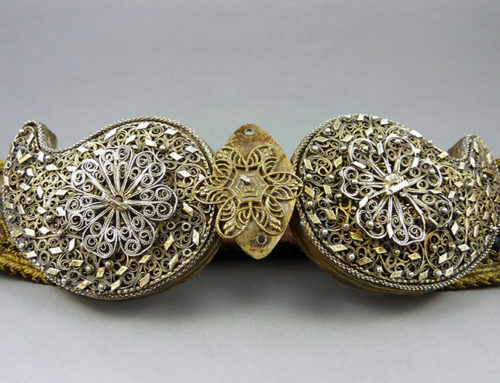 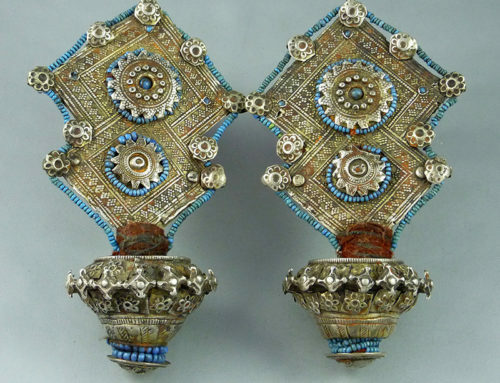 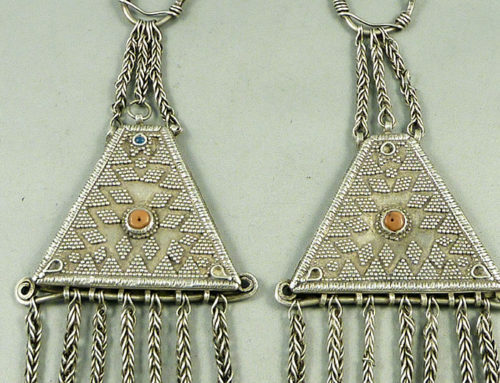 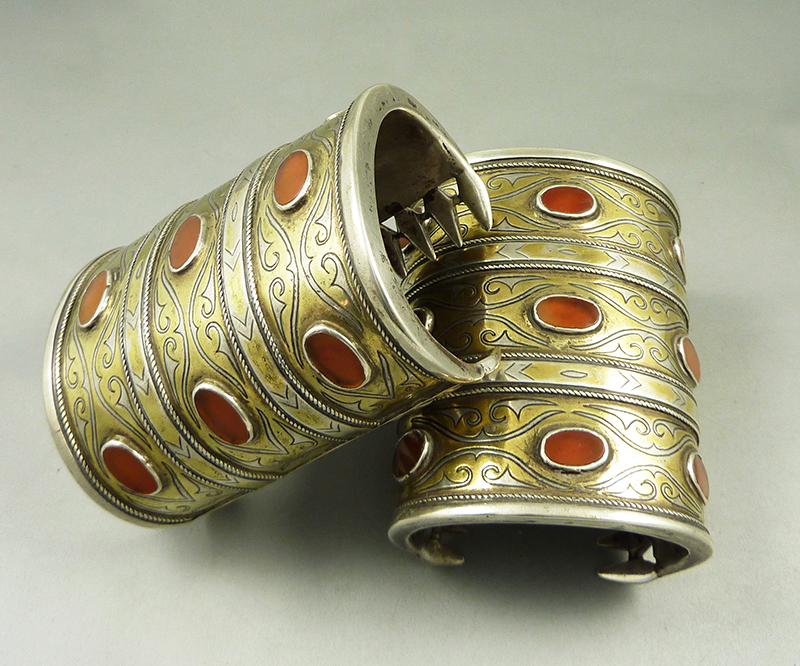 Old Tekke ring, made with silver with filigree and fire gilded, only the top flower shape of the ring, which have a glass bead inset. The whole ring has an old and worn patina. 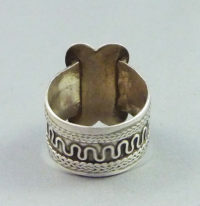 The size of the ring is 9 (American size).